Dunkin Donuts Iced Coffee is the perfect drink for those of us who love coffee house drinks in the summer. It is crisp and refreshing and gives you that pick up you love. Looking to enjoy your favorite iced coffee at home? Check out this easy Dunkin Donuts copycat recipe! With the weather changing from cool to warm it’s time to re-think your piping hot coffee. 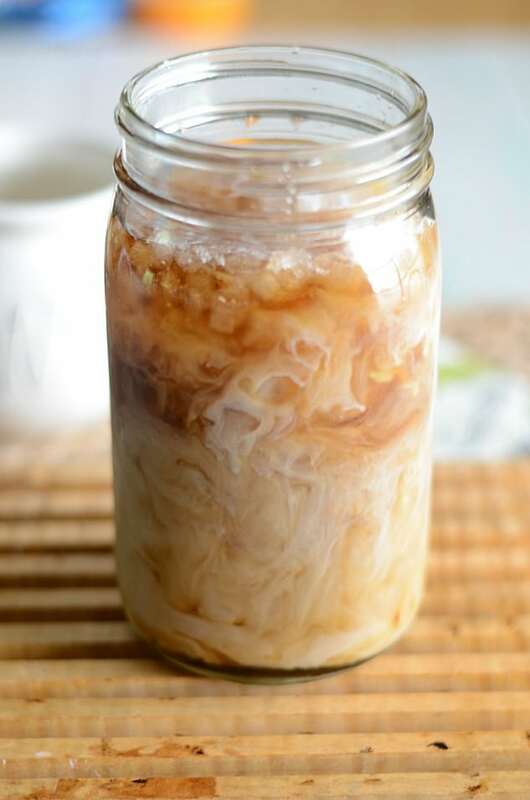 Summer is fast approaching and it’s so much easier to enjoy your coffee when it’s iced. The good thing is that it’s super easy to make iced coffee at home! This Dunkin Donuts iced coffee recipe is perfect for a morning, afternoon or evening pick me up. You can also make a large batch and have it in the fridge ready to go all summer long! Dunkin Donuts has long been known for its outstanding coffee drinks. Their iced coffee has been around for quite a while but they keep adding new flavors to their menu. They recently expanded their iced coffee drinks and added cookies and cream, coconut, French vanilla and more! The great thing about the basic iced coffee recipe is that you can add any flavor syrup and have a customized drink! Dunkin Donuts has their line of coffee creamers that you can buy at the grocery store or at one of their locations. The possibilities are endless with flavored syrups and creamers at your fingertips! Do you love coffee house drinks? Try some of these. Vanilla Latte by the Grant Life. 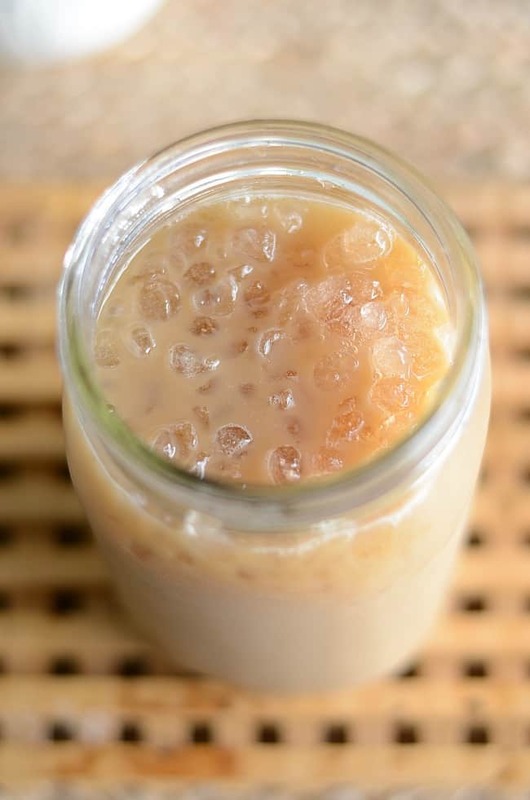 Make this famous iced coffee at home. Mix your sugar and coffee in a large glass. Add in the milk and top with ice. Stir and enjoy! You are all set with an iced cold glass of Dunkin Donuts iced coffee! The only thing left to do is sit back and sip away! I also like the mocha iced coffe. What do you recommend? I would recommend adding some chocolate syrup into the coffee when you prepare a glass of iced coffee. What do I need to change to your iced coffee recipe to make the mocha iced coffee? That is my son’s favorite Dunkin Donut drink. Thought I might give it a try and surprise him. Looks so delicious. Dunkin Donuts is my all time favorite. Thanks a lot for its copycat recipe. Thanks once again Stephanie Manley. Thank you for your request. I will keep it in mind. Loved your recipe Stephanie but I think you should use Ice Cubes of Coffee Power instead of a cooled coffee cup. Just ground your coffee beans and freeze them in ice cubes and then use them in your Iced Coffee. I’m sure you will enjoy the taste. Looks really delicious. You just turned a beast on me. I want this iced coffee right now. By the way thanks for sharing with us. Love for you and your blog. Yum! your recipe looks so delicious to me. For the summer season iced coffee is the best recipe at the evening, specially in New York. I have tried so many times at my home. I also love latte and cappuccino. I make my coffee when cooled in refrig. Thanks for everything, Stephanie! Recipes are GRRReat! 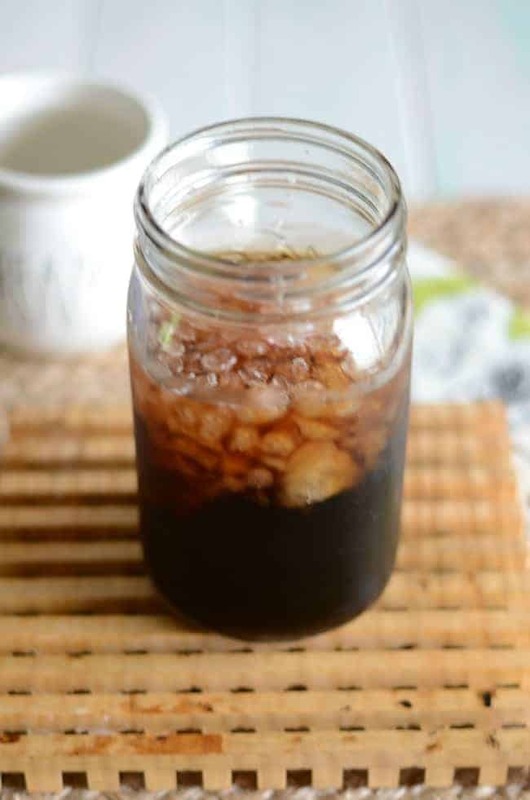 One tip for Iced coffee–as I am an officiato at it—and I ADORE iced coffee! I prepare a pot of coffee with all the fixins( milk,etc) I then take a few ice cube trays and FREEZE it—-Store the frozen coffee-cubes in a Hefty bag in the freezer—and when I’m ready to add ice to my chilled coffee(always use chilled coffee) I use the cubes! Nothing gets “watered-down” The same can be done with tea—altho I put a slice of lemon and or ginger in the cubes prior to freezing! Everyone thinks I’m brilliant—-lol…pretty simple! Again THANKS for your site and CHEERS!